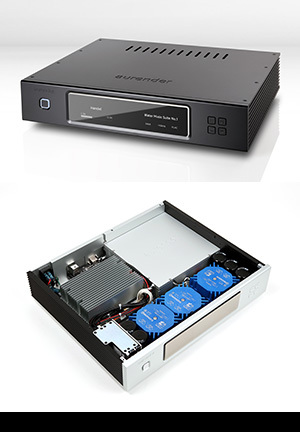 A30 is the flagship model from Aurender’s range of analog output digital music players. 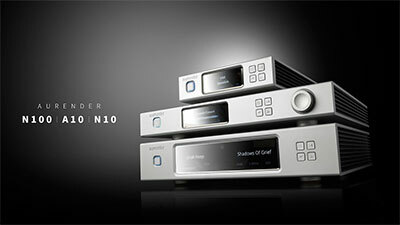 Like A10 and A100, A30 is, at its essence, a caching music server / streamer & DAC with internal storage and control via Aurender Conductor. 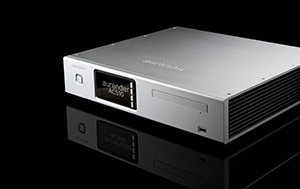 The Aurender A30 also includes full MQA Decoder technology which enables you to play back full-resolution MQA audio files and streams, delivering the highest possible sound quality of the original master recording. 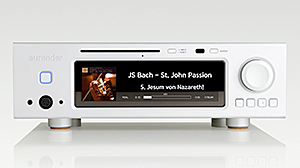 The Aurender Music Players are designed to preserve and provide easy access to large digital music libraries. One-touch CD Ripping with metadata and cover art retrieval with a unique user determined target folder depository feature. Industrial-grade CD-ROM drive (TIAC DVD-ROM), tray loader design. 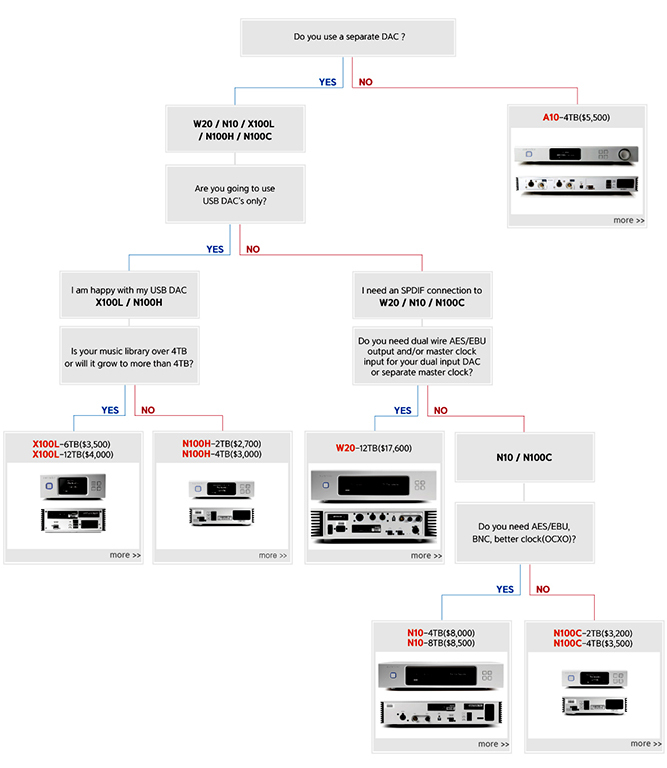 Choice of FLAC, WAV and AIFF codecs. Support for using ACS10 as central library storage. And support for ACS10 to expand storage beyond the capacity of an Aurender music server. ACS10’s SmartMerge feature will identify a network attached W20/N10/A10/N100H/N100C or X100L and allow user to see content from both libraries combined into one. (can only be used 1+1, one ACS10 and one Aurender music server). 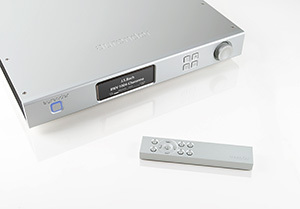 The Aurender N100H digital music player supports DSD (DSF, DFF), WAV, FLAC, ALAC, APE, AIFF, M4A and other major formats at native bit and sampling rates. Equipped with a high performance USB digital audio output, Ethernet port, 120GB solid-state drive for cached playback, the N100 is the ideal solution for playing high resolution digital music collections from NAS. Since the Aurender interface requirement for external USB or NAS is different from other music servers on the market, the learning curve is a bit steeper with this model. Consequently, we would strongly encourage the N100H and reserve the N100 for only those users qualified and knowledgeable in IT matters and who are willing and able to use AMM (Aurender Music Manager). 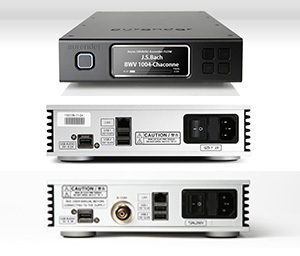 The "C" version of the N100, adds a Coaxial connection.